WordPress 3 is nearly upon us, it is currently in release candidate, one step away from launch. We have been playing with it so we’ll be ready. Now is a good time to reveal some of the cool new features available in this update. WordPress 3 is nearly upon us, it is currently in release candidate, one step away from launch. We have been playing with this version so that we are ready when the big day comes. Now would be a good time to reveal some of the cool new features available in this major WordPress 3 update. There are a large number of minor tweaks and additions but we will focus on the major ones that will be most visible to WordPress users. MU is the multi-user version of WordPress. 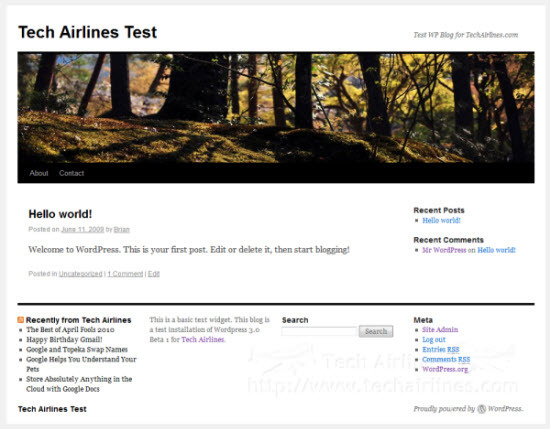 With MU you can establish multiple blogs under one WordPress install, for example as seen at wordpress.com. 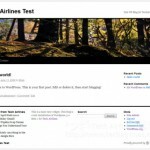 Previously released separately, MU is now integrated with WordPress 3. All MU functions are hidden unless enabled at install so most bloggers will never see a difference. A small but welcome change this one. When installing previous versions the administrator was automatically named “admin”. With WP3 you can call the admin whatever you want making your blog a “little” bit more secure. The dashboard now offers the option to change the background in suitably enabled themes. Full control over background colour, image and position. As mentioned in an earlier post (Woo-hoo! Custom Menus announced in WordPress 3), the functionality of the popular plugin WooThemes has been built in to WordPress 3. This enables you to construct multiple custom navigation areas in your site with links to pages, categories or any URL of your choosing. The one we’ve all been waiting for. Whilst undoubtedly powerful, using WordPress as a CMS has always been a bit of a fudge, setting up complex category hierarchies to represent your site structure and hacking the theme to separate the various sections. Custom post types let you create distinct, new groupings for your site content, leaving the blog posts section free for their original function. These new post types come complete with their own customisable post write/management areas within the dashboard making life much easier for the person updating content. Nothing to do with stuffing animals, taxonomy is the classification of information. WordPress posts already include Categories and Tags but you can now add your own to custom post types. For example if you create a hotels website you could define a “hotels” post type and within that you might create a category style taxonomy called location where you could place a hotel by country then city. You might then add a tags style taxonomy for “facilities” where you can add relevant keywords. The possibilities are endless, and of all the new features it is the custom post types/taxonomies combo that really secure WordPress as a fully functional content management system. I have just add your Calendar plugin.